Bears have enough strength to breakout by support level. Below support, look for selling possibilities. 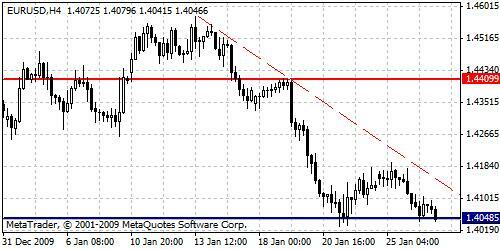 At the moment waiting action is better to take in order to confirm a possible breakout of significant barrier at 1.4048. While trend is negative, bears are controlling the situation.